On the surface, "Buzz Lightyear" looks like a Pokemon-style Saturday morning cartoon. It is certainly that, but it actually has some wit and cleverness about it, too. Firstly, there's the all-too-brief Pixar computer animated intro (about 4 mins.) featuring Buzz, Woody, Jessie, and the rest of Andy's toys (Buzz, Woody, and Rex are the only ones who speak, though). We watch as Andy's toys insert this cartoon into the VCR. Then, we go smoothly into the animated Buzz's world. Thus, on a different level, this is a wry video that combines great sci-fi action with the clever twist of showing the viewer how Buzz became popular with his own TV series in the fictional world of the "Toy Story" movies. As with most of Disney's quality products, the video succeeds both ways--like the two "Toy Story" films, this 70 minute video is funny and smart at once. Plus, another reason to purchase this is to have the great song (over the closing credits) "To Infinity and Beyond" performed by William Shatner and the "Star Command Chorus". A true gem in itself. Overall, this an hour worth of entertainment you'll want to enjoy several times. The DVD more than met both my son's (he's 7 and a half) and my expectations. For those expecting computer animation in the style of Toy Story obviously didn't pay attention to the trailers. The story is about the "real" Buzz Lightyear and not the toy in Toy Story. The characters are imbued with a lot of cleverness and imagination. XR is a great sidekick. I like Mira Nova's special powers. Booster is well played too. The people who are complaining about violence seem to have a distorted view of reality. Nobody dies or seriously injured in the movie. There are a lot of positive messages here too. Just to name two: good guys come in all shapes and sizes; you can do more working with others than you can by yourself - that applies to Buzz's new partners and to the LGM. The bonus material is good too. One of the games gives you a hint of who the villains will be in the TV series. The digital comic book is a nice touch, especially with the effects added in when you opt to have the story read to you. The song at the end by William Shatner and the Star Command Chorus was also a nice surprise. My two year old loves this video since it stars Buzz, his hero from the Toy Story movies. As other people have noted, this is not animated the same way as Toy Story 1 and 2; it is a straight-forward cartoon. That said, it is still a lot of fun. We've watched this together many times (many, many times...parents, you know what I mean) and I still haven't gotten tired of it. 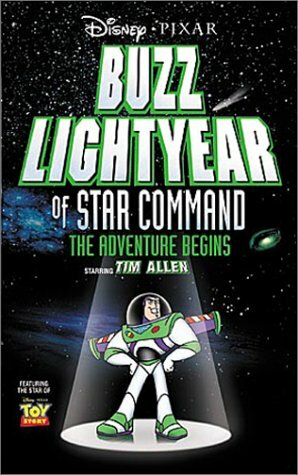 The script is funny and well written with lots of great one-liners, especially from Zurg. There are plenty of laser blasts and action, but it is pretty tame any my two year old didn't find any part of it scary. I wish they had done this in wide-screen, but that is a minor complaint (from me, not my son). I am looking forward to the next one. I LOVE BUZZ LIGHTYEAR!!!!!!! HE'S THE COOLEST TOY EVER!!!!!! When I was a little kid, I use to love collecting Buzz Lightyear action figures! I even love the Toy Story films and Finding Nemo! I even loved the picture of Buzz Lightyear lying at the dentist's office in Finding Nemo. This movie was like one of the coolest films! I would think it's better than the original Toy Story and I would place it to a tie with Toy Story 2. I might have to decide that! I had seen this film 2 years ago and I loved it! I should think about getting the DVD some day! Buzz Lightyear action figures are like the best action figures ever! If you loved all Toy Story films, then you'll love this one, too! After Finding Nemo 2, Pixar should come up with another Toy Story film, because they do well with all movies. Pixar made it's first 2-D Animated Feature, but they really do so cool with 3D Animation! First of all this is cartoon-like, not animation type. Second of all there is no story at all, except the usual simple plot: "good guy searches for bad guy, and eventually gets him"
A wonderful, uplifting, sing-along video! 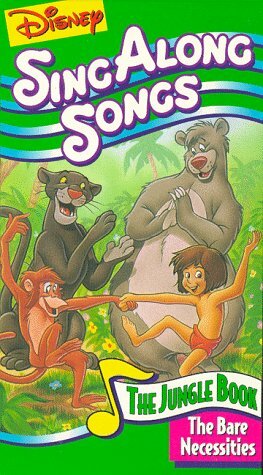 The Bare Necessities Disney Sing-Along video is one of my two year old daughter's favorites. She had never seen the Jungle Book, but fell in love with the characters, songs, and animations this video has to offer. She knows the songs by heart and dances all around the house singing these fun songs. A definite winner! My nine month old just loves this video. If I need to do anything I can just plop him down and he will stay put through the whole thing. He is mezmorized by the songs. Defitnitely the best out of all the Sing Alongs. Highly Recommended. This is the best video. We discovered at around 4 months that our daughter recognized the "Bare Necessities" song and she's been enthralled ever since. Her three-year old cousin loves it, too. Lots of fun songs for kids and parents, and unlike a lot of children's songs, they are not too sugary sweet. We've tried some others, but none does she like as well as this. Disney's latest animated feature film directed by Aaron Blaise and Robert Walker tells the heartfelt tale of the relationship of brothers, dream and the belief in nature. 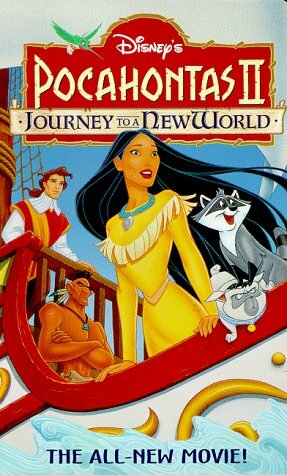 Beautifully animated and sprinkled with songs by the Phil Collins (Tarzan, Hook) and even one sung by Tina Turner (Road Warrior: Beyond Thunderdome) the movie has energy and an appreciation of older culture and how man and nature can co-exist. This movie teaches the value of appreciating your siblings and the elderly in your families. Sometimes their advice is the only thing you may have to fall back on. Its starts with a tragedy and this threat come full circle at the end of the film. The perspective is that of the Bear. The Bear sees man as the Monster Man sees Bear as the monster. The spirit of one of the brother intervenes and shows the perspective of the other. Three brothers are voiced by Joaquin Phoenix (Signs, Gladiator), D.B. Sweeney (Dinosaur, Fire In the Sky) and Jason Raize (First Feature). The lovable but obnoxious youthful bear Koda is played by Jeremy Suarez (Jerry McGuire, Bernie Mac Show). Of the comic relief is mainly supplied by the two Moose - Rutt and Tuke played by Dave Thomas (Coneheads, Boris and Natasha) and Rick Moranis (The Flintstones, Honey I Shrunk 1,2,3,4). There perspective gives tribute to the Canadian traditions of the old past. "Brother Bear" is a good family movie. It has a good message to it and the story is very enjoyable to watch. The cub, "Koda," is fun to watch and the moose brothers, "Rut and Tuke," are just hilarious. The movie's message of loving one another and protecting family is fantastic. The entire film has a good "family" feel to it without coming across as too gushy or preachy. It's also a great comedy. There are multiple scenes in the film that make children of all ages laugh. My two-year old loves watching "Koda" be silly. "Rut and Tuke" provide great comedy for the adults. The character of "Kenai" is also very funny when he comes to realize that he isn't human anymore. The only shortcoming of this film is the music. Don't get me wrong, it is nice to listen to, but it doesn't sound as inspired as past Disney efforts. As another reviewer stated, the music reminds me a lot of "Tarzan." The DVD is chock full of extras. I like both the "family-friendly" version of the film and the original theatrical aspect that are offered. The games are fun and the "Bones" game is actually quite challenging for the younger lot. There are deleted scenes(including one with a character not seen in the movie) and funny "outtakes" a la "Bug's Life." "Stitch" even makes a cameo appearance in the extras! There are a number of other extras, including a documentary on different aspects of the film. You can pick and choose which parts you want to watch. Overall, I highly recommend this film. Some folks have knocked it for the violence in the early sequences of the movie. This is ashame, because the scenes are handled with care and there is no blood actually viewed on-screen. If you're bothered by the violent sequences, watch the movie without your kids first and prepare yourself to explain the scenes to your child. I honestly don't think this is necessary, but I know how sensitive some folks can be. Others have questioned the spiritism used in the film. Considering this movie takes place at the time of the Inuit people, I find no fault with the totems or spirits involved. Don't let a few naysayers in the crowd ruin your experience. This is a fine family movie that can be enjoyed by all. 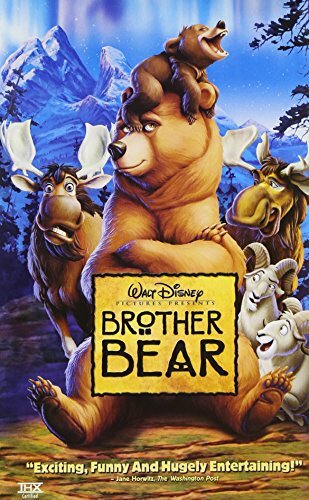 I saw the trailers for Brother Bear when it was in theatres and didn't really think much about it, until it got the Academy Award Nomination for Best Animated Feature, then I said to myself that this could be good, and guess what...it is! Brother Bear is about Kenai (Joaquin Phoenix), a young Native boy who takes revenge on the bear who killed his older brother. When his brother's spirit sees what he's doing, he changes Kenai into a Bear to make him see through the animals point-of-view. AMAZING! I was really impressed at how well done this movie is. I have to admit that this is one of my favorite animated films to date. The music by Phil Collins and (surprise!) Tina Turner are great! The score really stands out too, especially during the exciting transformation scene. 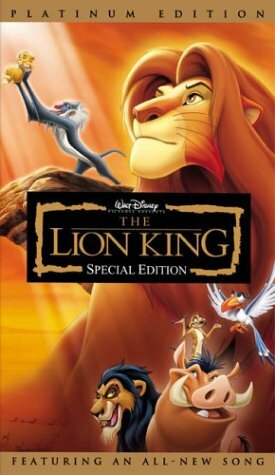 Though, not as much music as my second favorite animated film, Spirit: Stallion of the Cimarron, this one still delivers and music placement is put in where music is needed. 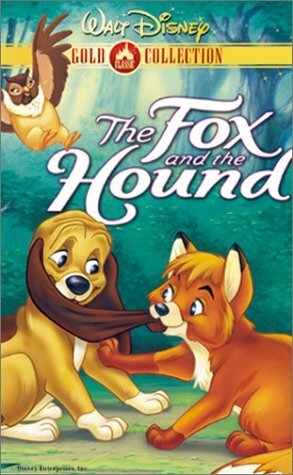 The story is a bit strong and there are some scary scenes that may frighten little children, but other than that, the kids will forget about it when the two hilarious Moose, Rutt and Tuke, arrive on-screen (voiced wonderfully by Rick Moranis and Dave Thomas). The Animation mixed in with a few CGI's are fantastic! as is the detail and the usage of the widescreen scope is used to the fullest extent. 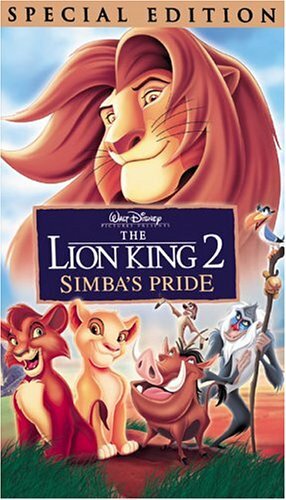 I was reading around and one reviewer said that this is a collaboration of all of the Disney themes, such as family in 'The Lion King', the transformation of 'The Little Mermaid', the Natives in 'Pocahontas' and the collaboration of Phil Collins again, just like in 'Tarzan'. I do agree with this and found it incredibly interesting that there are similarities which I welcome to with open arms. I have to comment on how animated films have more adult themes to them these days. The 3 Nominated films of 2003 have elements of death or separation to them. I'm not saying this is a bad thing, it's actually, to me, a breath of fresh air. Brother Bear does have some intense and scary moments but at the same time there are are those fluffy scenes that back it up. 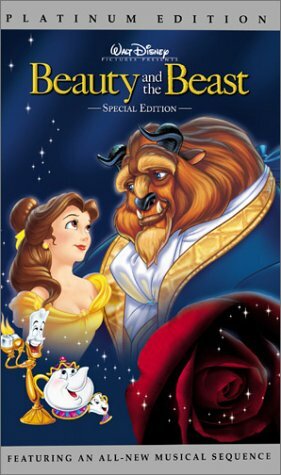 I grew up watching Disney films right when I was at least 7 years old and ten years later, I have to admit, I still watch them. That may seem a bit sad and embarrasing, on my part, but it just shows how Animated films, such as Brother Bear, have that long range of age where no matter how old you are, you can still learn and relate to what these stories have to tell. It's really a dissapointment to hear that Traditional Animation is fading away, as it really shows the talent of human art, but times are changing and so is technology. So, just as long as Animated films have a great story to tell then I'm open to the posibilities that Computer Animation has to offer. So, in the end, Brother Bear is an excellent mix of Disney themes that is filled with great music, good story and overall just a great film. I LOVED THIS MOVIE! I FIRST SAW IT IN THEATERS AND I THOUT IT WAS REAL GOOD!I GOT IT ON DVD THE FIRST DAY IT CAME OUT!I RECCOMEND THIS MOVIE FOR EVERY KID IN THE WHOLE WORLD!THE GROWN-UPS WOULD PROBABLY LIKE IT TO!I HOPE THEY MAKE A BROTHER BEAR 2! Our son is almost 8 months old and when we put one of the videos in, no matter where he is in the house he comes to watch. The colors and sounds has captured his attention and we can sit with him to learn. We are so happy for your products. Thank you for helping new parents find a way to connect. GREAT VIDEOS! BEST BABY VIDEO BUY EVER!! I bought them when my baby was 5-6 mo. She loved a little bit them by then, especially baby newton. Her interest for the videos has kept growing, she is 13 mo now and she LOVES these videos, she pays lots of attention to each and every thing she watches. My baby has never had a pacifier into her mouth, but these videos have definetely been her pacifier all this time. I can't explain the emotion she feels when she watches me inserting the videocassette for her, she claps her hands, sings, dances, etc! The only video that she doesn't watch is baby einstein, I think it's a little bit boring for her, and has always been. But for my overall experience, these videos deserve an A+++. My money was very well spent. I have purchased several of the video series. Baby Genius and Bee Smart are pretty good. I also having the Signing Time videos. While I love Signing Time, my son is not quite into it yet. None of them keep my 7 month old fascinated like the Baby Einstein series. I have the language skills, bach, Mozart, and Beethoven. Doolittle is a little disappointing. I have not purchased Newton yet, and may not, due to reading of the reviews. 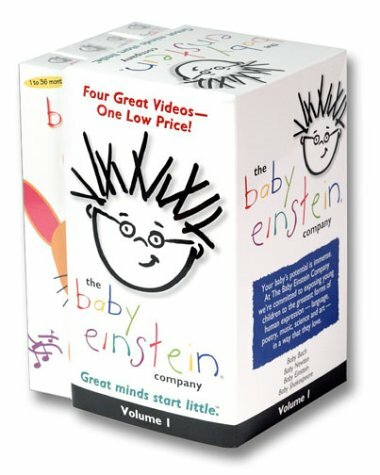 But, in comparison to the other series out there, Baby Einstein is the top. I still use the other videos, because they seem to provide more direct education. Yet, I have to work harder to keep my son's attention with the other videos. Just today, my son was getting fussy and would not soothe. I turned on baby Mozart and he has not made a peep. I may not get him to sleep anytime soon, though. Neither of my kids seem to be remotely interested in any of the Baby Einstein DVDs. To me, they seem strange and almost like brain-washing. I think we'll stick to Disney and the like. We have all of these videos and my kids love them. They are bright and colorful, with loads of great images and top notch music. I like that they vary and have different themes, our favorite is Baby Newton. I have no idea why they prefer that one, but they just do. my two year old and his cousing love this video as well as the rest of the spot series. the video teaches the kids to share as well as how to use their imagination. the content itself isn't overwhelming to children like many cartoons today. i would recommend this video to kids ages one to four or five. This is a wonderful video for children. It follows the books by Eric Hill very closely. 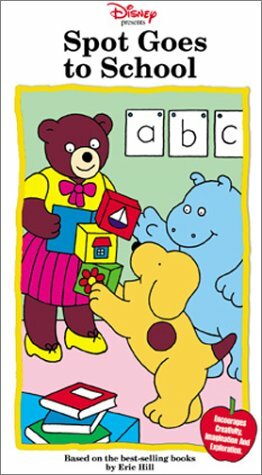 There are five stories about a little yellow dog with a big brown spot on his back. He lives in a nice house with his Mom and Dad and he has lots of friends including Helen the Hippo, Steve the Monkey, Tom the Alligator, and Claire the Turtle. These are gentle, loving stories that children can easily understand. Each story teaches a positive and valuable lesson and is very entertaining as well. In the opening story, "Spot Goes to School," Spot is starting school for the very first time. He is a little nervous at the beginning, but once he gets to school, he sees his friends and has a good time with them. The teacher is very nice, and there are lots of interesting things to do. The students paint, and build with blocks, and play dress-up. As it turns out, school is a very fun place to be! At the end of the day, Spot's mother picks him up, and the first thing Spot says is, "Can I go again tomorrow?" I think this story would help any little child who is nervous about going to school. In "Spot at the PlayGround," all of the friends get together for an afternoon of fun. They play on the Jungle Gym and the Teeter Totter and the Slide. They learn how much fun they can have sharing and playing together. They also learn to be careful and watch out for one another. Having fun CAN be safe! In "Spot Makes A Cake," Spot is on his way out to play with his friends. He reminds his mother that she promised to make a cake for the school fair. She asks if he would like to help. Of course he would! But only after he finds his Chef's hat. This was my favorite scene in the video. Spot is a fat little puppy who stands on a stool and mixes the cake batter while he wears his hat. He is SO CUTE! He makes the cake with his Mom, and winds up having more fun than he expected. He learns that it can be fun to help around the house. And best of all, when he takes the cake to the school fair, he wins it right back again! Spot's Dad is especially happy about that-because he REALLY wanted to eat it before it went to the fair! In "Spot In the Woods," Spot and his Dad go out for an afternoon walk. Spot asks everyone he meets along the way if there are any lions or tigers or elephants or bears. "Oh Yes, lots of them," the birds and foxes and squirrels reply. This worries Spot, and he decides he wants to go home. His Dad is puzzled, but he says okay. After Spot leaves the woods, out pop a lion, a tiger, an elephant, and a bear! Sometimes the things that children imagine or fear, really can come true! But when that happens, it's also true that a loving parent or grownup can protect you and take care of you! The last story is "Spot's Winter Sports." It is a cold and snowy day, and Spot wants to play outside with his friends. But first he must dress warmly! He has a snowball fight with Helen the Hippo and takes a ride on his sled with Steve the Monkey. Helen and Spot work hard at building a snowman. They ask Steve to help them, but he is too busy doing something by himself. Spot wonders what is so important that Steve can't help. Actually, Steve is working on a surprise for Spot-a snowman that looks exactly like Spot! And best of all, he builds it on Spot's sled so that he can take it home and show his Mom and Dad! Aren't friends great! As you can see, these are sweet and charming little stories. There is nothing rough or violent or scary in them. Around our house, we like to watch these stories in the evening when we're getting ready for bed. They are so calm and quiet, they make you feel like you are ready to relax and go to sleep. This video is a MUST HAVE for small (and even not so small) children!! Have Fun And Learn With Spot. This video is my 7 month old daughters favorite! We used the baby Bach and baby Mozart videos when our 7 month old was younger and she loves them, but Neighborhood Animals is her all time favorite. She sits in her walker and watches the animals and even tries to talk to them. She gets excited when the pupets/animals make sounds and loves the music. She smiles and starts making her little baby sounds everytime she see Pavlov the dog. We used to put her in her swing and let her watch Bach or Mozart while we get ready for work in the A.M. But with this video she got so excited in the swing that we had to put her on the floor or in her walker! Even though the age recommendations are 1 yr to 4 yr I highly recommend it for younger babies. I took the video over to the sitters and she said all the kids liked it and watched intently. (the ages are 8mth, 7mth, 5mth and 2 years!) I'm not a big fan of sitting my daughter in front of the TV; however, when both parents work and you need to buy a little time in the morning this is the greatest! I hope your children love it as much as my daughter does! 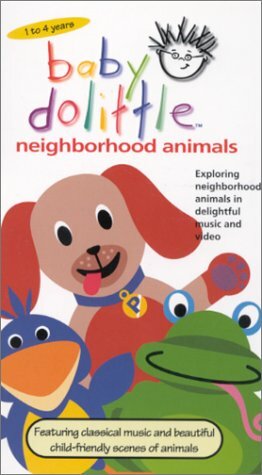 This video is what you would expect from the Baby Einstein Company--puppetry, classical music score, toys, live action children and video footage of animals. It's designed around 4 themes, animals in the house (dog, cat, mouse), yard, (bird, rabbit, bug), farm (cow, horse, pig)and river (frog, otter, duck). My 14 month old daughter enjoys it, especially the children singing "Old MacDonald" during the farm sequence, and the flying cow marrionette. I didn't give it a full five stars largely because, on the whole, the quality of the puppetry (as opposed to others in the series like Baby Shakespeare and Baby Van Gogh) is not of the same caliber and the toy sequences don't seem to have the same level of wit and humor that sparkles in the other videos. My opinion is that this video is simply following their tried and true formula, granted, it is one that, judging from my child's reaction, works well, but maybe needs some fine tuning. I recently bought this video for our 2 year old daughter, who has loved the other BE videos for some time now. She absolutely loved it! She has always loved animals and so this, along with world animals are her favorites. I've actually caught myself interested in it while doing dishes even! These videos are aimed toward birth to toddler ages, however even our five year old loves this one with all the animal footage. I highly recommend it- a great way to settle down before naps, too. I have used Baby Einstein products in past but I have found the more recent titles lacking in the entertainment quality of the older titles. My child gets bored pretty easily with them now, and actually gets a little scared with some of the segments. I am concerned that these products are being made too quickly without being tested on young children. "Captivating Tale of Love, Immortality, and Choices We Make"
Even though I teach middle school, I had not read this book. My students mentioned it often however, and as an instructor of Greek mythology, I became curious about the story when I learned its basic premise was immortality. (I have been told that there was much less a love interest between the teenagers in the book, however this emendation certainly lends a magical spark to the timeless story.) Upon seeing the movie, I can recommend it not only for its excellent treatment of this subject, but also as a film the whole family can enjoy and discuss afterward. In brief, this is the story of those (the family Tuck) who would seek to live forever. Unlike the mythological Tithonius however, who was granted everlasting life without eternal youth, the Tuck family becomes immortal from the moment they drink of the mystical pool at the foot of an ancient tree--a tree that will lend a poignant and touching climax to the end of the film. Suffice it to say, the acting is wonderful. High profile heavyweights such as Ben Kingsley, Sissy Spacek and William Hurt give predictable sterling performances. Victor Garber (Alias; Annie) is also excellent as the wealthy father. But Alexis Bledel (Gilmore Girls) as Winnie Foster is simply disarming. She is convincing and superb in her effort to balance her desire for love in a life outside of time, with her responsibility to live the life intended for her. The talent of the cast, as well as the curiosity of the storyline makes for few dull moments, and the conclusion left me with one wet Kleenex! This is a beautiful film--from the scenery, to the music, to the performances, to the plot. Yes, it might be simplistic and predictable, but it would take a crusty old grinch to say that this ninety minutes wasn't thoroughly delightful, and time well spent. In the end, the age-old questions remain--is immortality all we would dream it to be? Is it quantity, or quality of life that is important? Does living forever make one unique and privileged, or does it (as Tuck would say) make one merely a rock stuck in a mud bank beside a flowing stream? And where does love fit into this equation? Is being given the love of your life, or loving the life you're given the more appropriate choice? The answer is found in Winnie's final decision on whether or not to drink from the eternal pool--a decision I could not have made. Much better than the Country Bears! About 2 to 5 weeks ago, I was watched the Country Bears, and found it a bad film by Disney, and now they have made it up, they made and came with this movie called "Tuck Everlasting". Which is about a girl that meets teenageer that is 104, and I must say that for being 104, that Jessie Tuck looks better good for his age. The girl is 15 years old and her name is Winfred. The Tucks are immortal, becuase they have discorved a a pond, that makes them living forever, even if they fall, and don't get hurt, or shot but not get hit. As the movie opens, Winfred "Winnie" Foster (Alexis Bledel) has met a stranger in a yellow suit, who is looking for the Tucks. Her parents decide to send her to a school that would manners. She doesn't want to go and runs away from home, and his lost in the woods and she runs into Jessie Tuck (Jonathan Jackson), who tells her to get out of the woods and to go home. But she runs, and runs into Jessie's grumpy brother Miles (Scott Barrstow), who takes her to his mom (Sissy Spaey). Who tells Miles to get his father (William Hurt) from fishing, because "he'll" not what to do with Winnie. I would reccomend this movie to you on dvd, if you love movies in "letter-box" fromat, and if you don't, then you will have to settle for the video tape edition, but a word of warning, if you get this on dvd, there are trailers for other movies like George of the Jungle 2 and Inceptor Gadge 2. I love this movie! 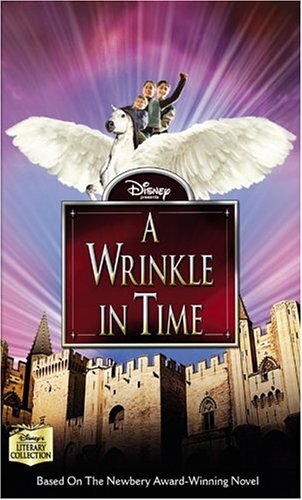 it is a great film...maybe better then the book. i cried for hours after i watched this movie (which is a good thing) if you like sad movies you'll love this!!! 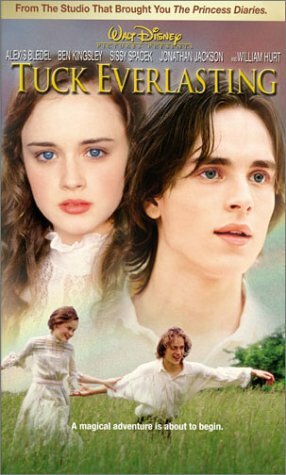 Tuck Everlasting sure is everlasting.The movie isn't completely terrible.It really explores life and death but it takes to long.The whole time I kind of felt bored.The plot is good but I don't think it or the book it was adapted from are all that great.Maybe this just isn't my kind of film but it just took forever to get to the climax and it was only 90 minutes.The acting definetly isn't Oscar winning; the only great performance was by Sissy Spacek.The dialogue is of course compatible to this kind of movie but I still didn't really like it.It was a little better than I thought it would be, though.If you are interested in living forever or dealing with death or your just a kid you may like it more than the rest of us out there.To add to everything else I didn't really like the time setting.Check this one out if you want to be bored.Young Winnie Foster, stifled by the formality of her proper life and domineering mother, escapes into the woods only to get lost.Soon she happens upon Jesse Tuck- a boy full of life and adventure who's unlike anyone she's ever met- and falls in love.The Tucks, a kind and genorous family, have a powerful secret- a spring that holds the magic of everlasting life.And now Winnie must choose to live life as she knows it or drink from the spring. "Like the Tuck family themselves, this movie just goes on and on and on and on"
It was not as great a story or character development as I could have hoped for, but overall I was not dissapointed. The scenery was beautiful, the 2 main characters also were beautiful and they had some powerful scenes between them. *DVD* Please! Let's get these out on DVD! If the two episodes I saw are a good sample, this is a *wildly* funny show, just relentlessly hilarious -- with a bit of an "edge", if you'll excuse the cliche. I'm ready to buy the complete series on DVD anytime -- after less than an hour, I'm an instant convert! 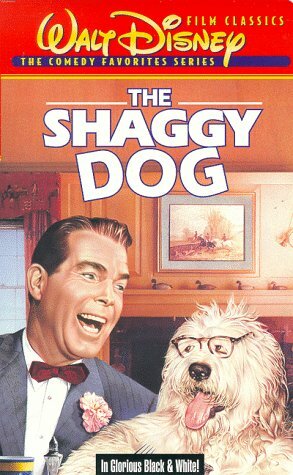 This used to be on TV and I couldn't get enough of it! It's cute, teaches lessons with simple family and day-to-day situations. Love the themesong! You'll never be able to forget baby dinosaur's motto: "I'm the baby, gotta love me!" Great for kids. Parents too. 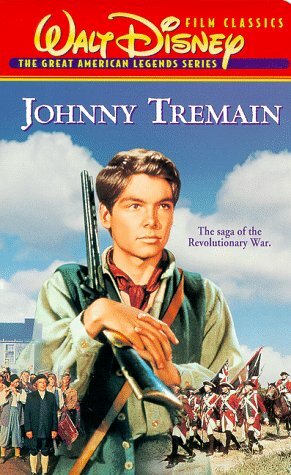 Great feature film for children who read and imagine about the wild west and frontier families. 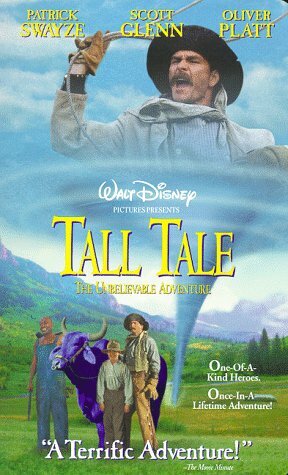 This movie threads the myths of Pecos Bill, Paul Bunyon and John Henry extremely well. It is a full story for the character of the young hero. The message was powerful and full of beliefs that children have, but not enough opportunities to practice - the practice of self and justice in the face of villians who claim authority as justice. Children know better and this film is their voice. It is very entertaining. Great for the whole family - including teens. This movie grows on me more and more each time I watch it. It would be worth watching just for spectacular scenes like John Henry holding back a locomotive single-handed, or Pecos Bill lassoeing and riding a twister. It has more, though. It has the Code of the West ( Respect the land, defend the defenseless, and never spit in front of women or children.) It also has the message to never let "progress" bulldoze the dream of what is right, and good, and true. Alot of this film isn't exactly "politically correct." It actually shows, fighting, gun-toting, drinking, and cigar smoking. Why, if a youngster was to watch it, there is some small chance that he might actually grow up to be a ...MAN! 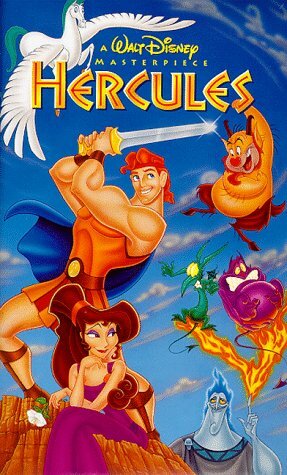 Great for all ages, more movies like this one need to be made. I enjoyed the old stories so well, I am buying it for my grandkids. Also getting them the books, these stories need to be kept alive. Patrick Swazye, Oliver Platt, and Roger Aaron Brown help Nick Stahl fight off three grave robbers and save his farm from being part of a railroad indusutury. When I watched it for the first time I thought it deserved 5 stars. 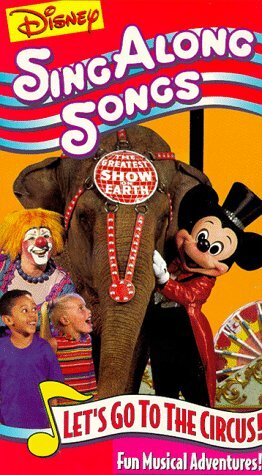 My 30 month old went to the circus right before we went to Disney World, She loves this tape and sings like a little diva to it. I only wish it ran an hour instead of 30 min! I bought this for my 18 month old granddaughter after taking her to a real circus. She watches it over and over and over. She tries to do some of the routines because there are lots of kids in it, some her age. I just ordered another one for my daughter's house so that she can enjoy it as much as I do! My 2-year-old loves the "Sing-along-Songs" videos so I've seen most of them. This is one that adults can watch and enjoy along with their children. Disney characters are prominent but not oppressive. Most of the circus acts feature children as performers and some include the "Disney" children as well. One surprise is that the featured clown (unnamed in the credits) is David Larible, Ringling Brothers "clown of clowns." He is excellent and interacts well with the Disney characters. The bell ringing routine is very funny--even after you've seen it 35 times!